Vintage car owners gather in Switzerland; workers vote for factory furloughs in Brazil; the 2015 Ford Mustang rolls down the line; the Moscow auto show opens; Chevrolet casts a Colorado in sand; here's a look at the week in pictures. 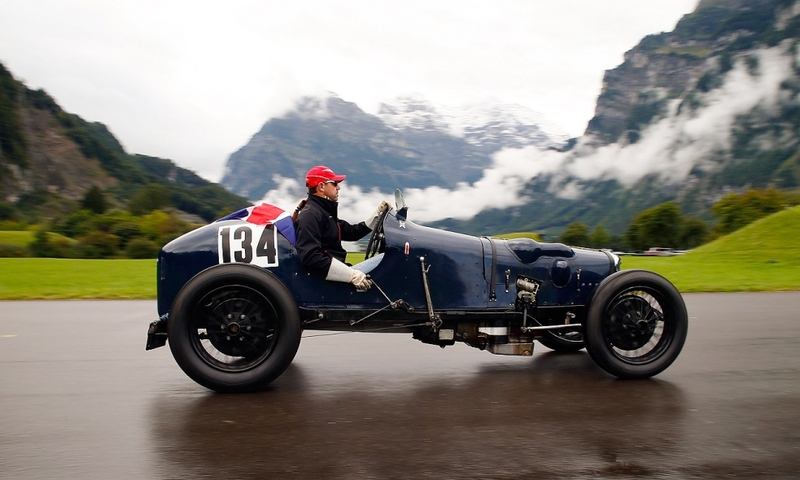 A participant arrives on his vintage Riley sports car during the British Car Meeting 2014 in the Swiss village of Mollis east of Zurich, on Sunday, Aug. 24, 2014. Some 1,300 owners of vintage British cars took part in the annual meeting. 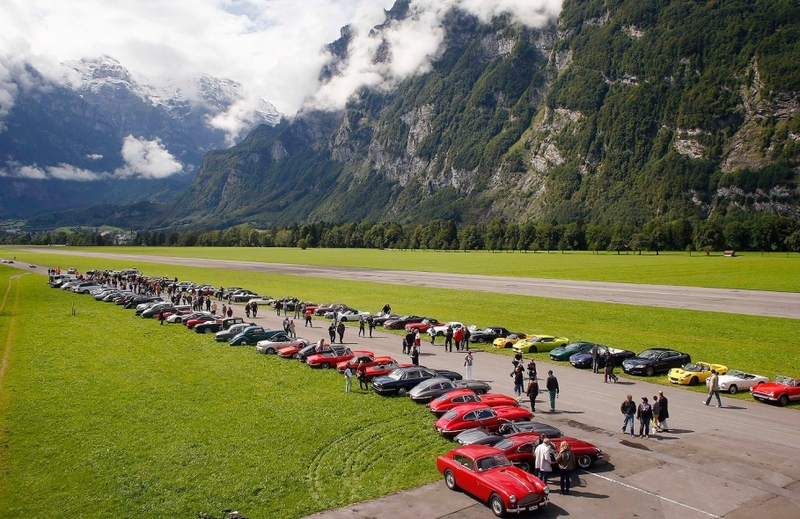 A gathering of vintage cars and their owners at the British Car Meeting 2014 in the Swiss village of Mollis east of Zurich, on Sunday, August 24, 2014. Some 1,300 owners of vintage British cars took part in the annual meeting. 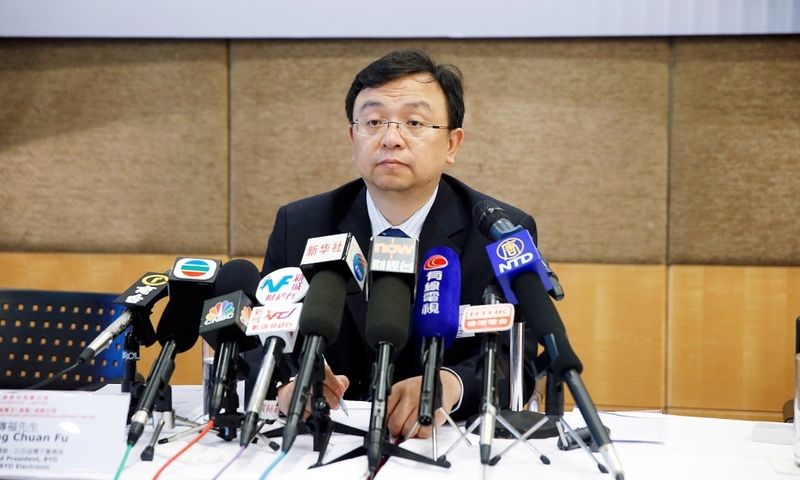 Wang Chuanfu, chairman of BYD Co., attends a news conference in Hong Kong, on Monday, Aug. 25, 2014, where the Chinese automaker reported a 16 percent drop in first-half profits on weakness in its traditional car business. The company also warned of a 12 to 22 percent drop in net profit in the first nine months of the year. BYD and other Chinese carmakers such as Geely Automobile and Chery Automobile are losing market share to foreign rivals VW, General Motors and Ford as competition grows in the lower-end of the market. 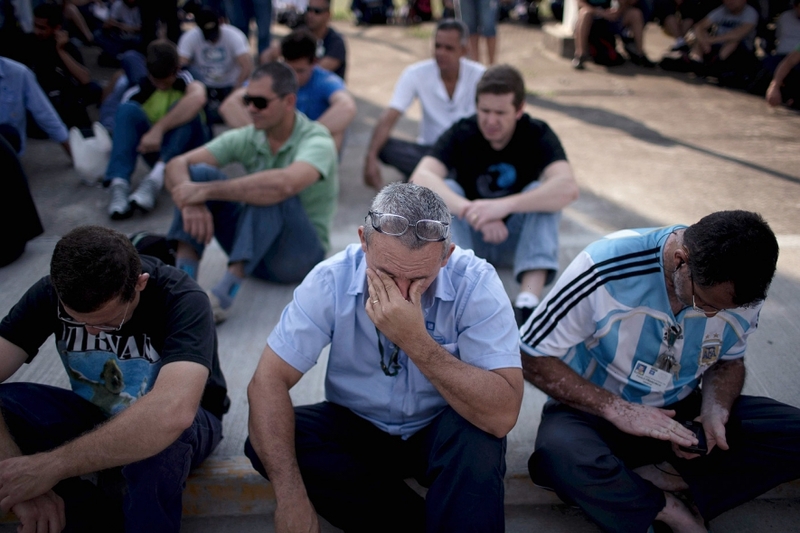 A worker at General Motors' factory in Sao Jose dos Campos, Brazil, reacts during an assembly on Tuesday, Aug. 26, 2014, to vote to accept the company's proposal to furlough 930 workers for up to five months. GM said the move is needed to adjust Brazil production to match weaker consumer demand amid sluggish growth in South America's largest economy. 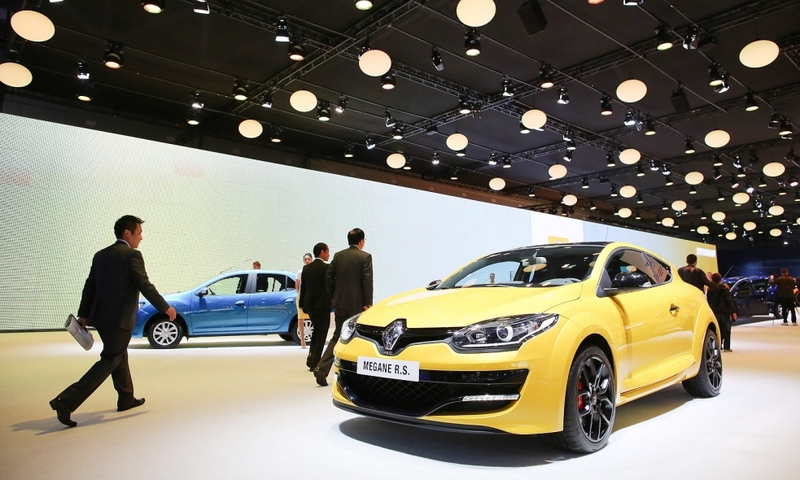 Visitors pass a Renault Megane RS on display at the Moscow International Auto Salon on Wednesday, Aug. 27, 2014. Russia's economic growth has stalled amid trade sanctions stemming from the government's disputes over Ukraine, prompting automakers to scale back output in the country as sales tumble. IHS Automotive this week estimated the Russian light-vehicle market won't reach the 3 million mark until 2018, dashing projections it would overcome Germany to become the biggest new-car market in Europe sooner. Russia will earmark 10 billion rubles ($273 million) to fund incentives for new vehicle purchases this year, the country's industry minister said Thursday, offering long-awaited relief for the crisis-hit auto industry. 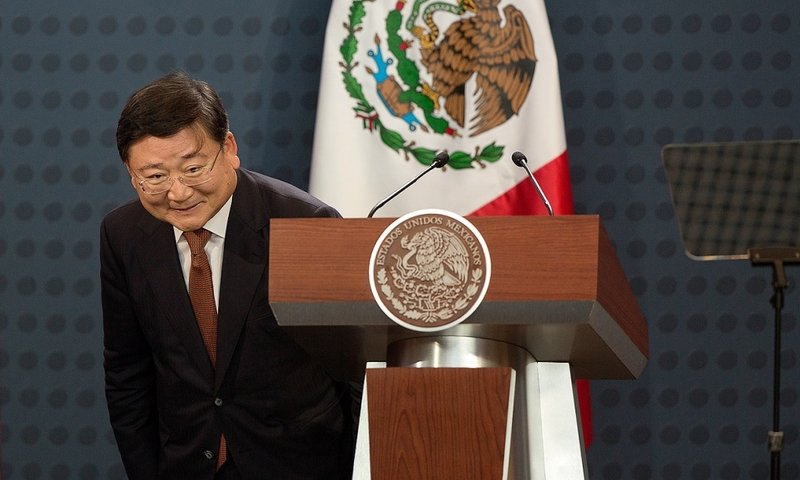 Hyung-Kun Lee, vice president of global strategy at Kia Motors Corp., bows after speaking Wednesday, Aug. 27, 2014, in Mexico City, where the company unveiled plans to build its first assembly plant in Mexico. The South Korean automaker follows a wave of European and Asian rivals in adding regional production in Mexico to take advantage of lower wage rates, a growing supply chain and the country's favorable trade deals that aid exports throughout the western hemisphere. The $1 billion plant, with annual capacity of 300,000, will build a range of small cars and be completed in the first half of 2016, Kia said. Reuters reported Kia plans to build the Forte compact at the factory. 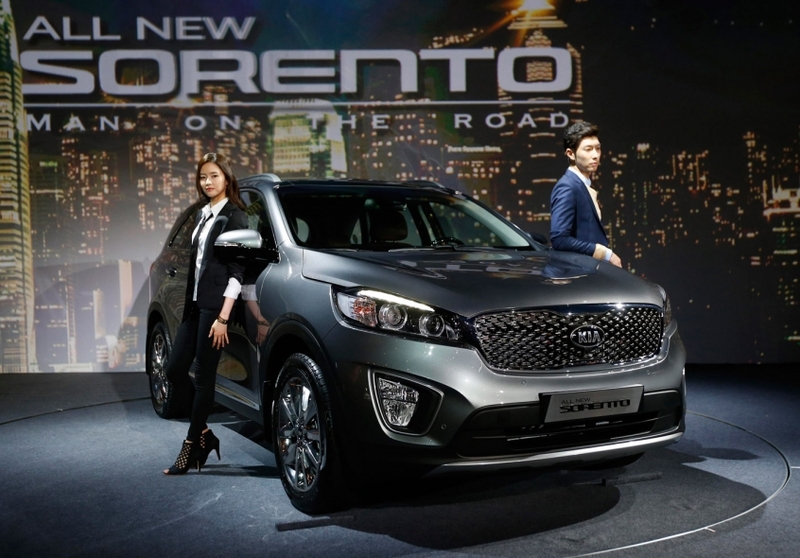 The redesigned Kia Sorento is unveiled in Seoul on Thursday, Aug. 28, 2014. Kia said it aims to sell 270,000 units of the third-generation Sorento worldwide next year to maintain momentum in the United States and other key markets. 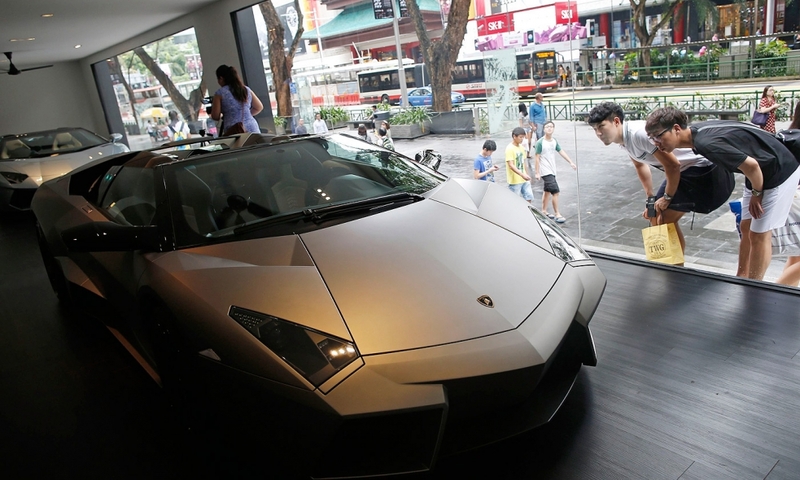 A Lamborghini Reventon roadster, along with other rare and super cars showcased by the Italian carmaker, draws a few admirers along Orchard Road, a popular shopping district in Singapore on Thursday, Aug. 28, 2014. The special display comes ahead of the launch of the new Lamborghini Huracan LP 610-4, which will debut in Singapore in September. 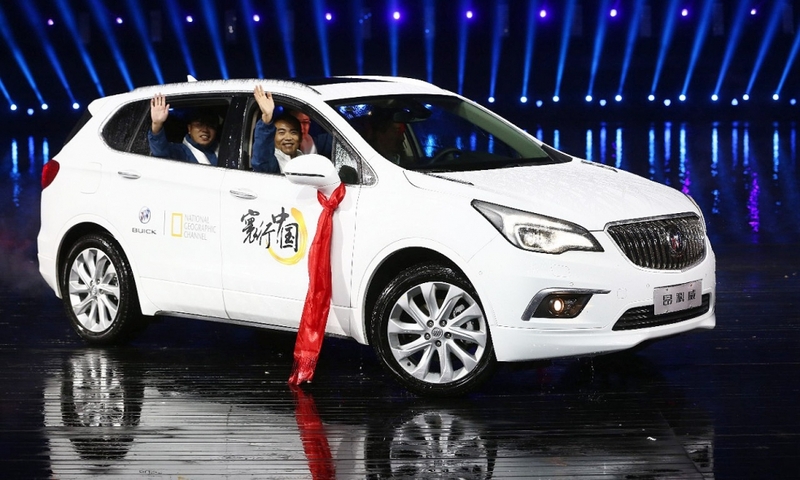 Shanghai GM launched the Buick Envision premium midsize crossover in Chengdu, China, on Thursday Aug. 28, 2014. The crossover, slotted between the Encore and Enclave, is powered by GM's latest-generation 2.0T direct injection turbocharged engine and an all-new six-speed transmission. To boost fuel economy, stop-start will be standard across the entire Envision lineup sold in China, GM said. 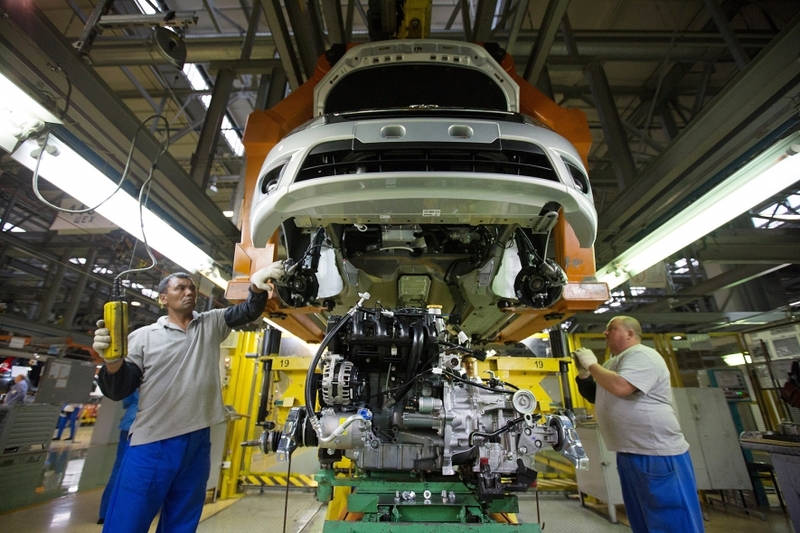 Workers fit a motor into a chassis on the assembly line at the OAO AvtoVAZ plant, controlled by Renault SA and Nissan Motor Corp., in Togliatti, Russia, on Thursday, Aug. 28, 2014. AvtoVAZ, Russia's biggest carmaker, said this week it plans to return to profit by cutting costs, slashing management layers to five from nine, and rolling out new models to claw back market share that has been slipping away from the producer of Lada vehicles since the end of the Soviet Union. The company aims to generate operating profit margins of 6 percent of revenue by 2016. 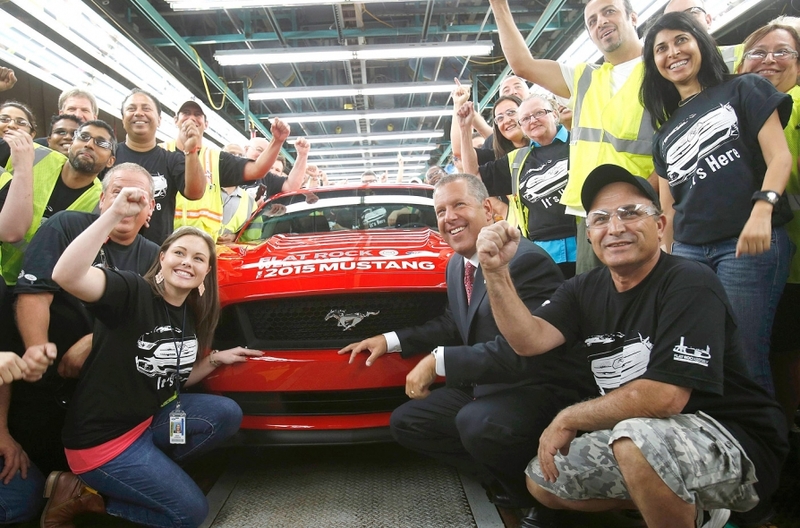 Joe Hinrichs, second from right, Ford's president of the Americas, joins workers at the company's plant in Flat Rock, Mich., on Thursday, Aug. 28, 2014, to mark the start of production for the 2015 Mustang. 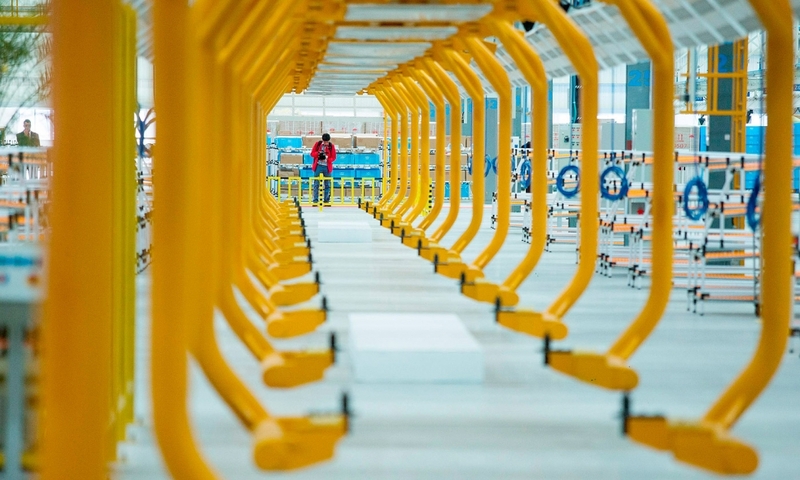 A view of a production line inside Chery's first automobile assembly plant in Brazil, in Jacarei, on Thursday Aug. 28, 2014. Chery executives marked the opening of the $400 million plant, located in Brazil's interior, and outlined plans to build 150,000 vehicles a year there by 2018. It is the company's first assembly plant outside of China. 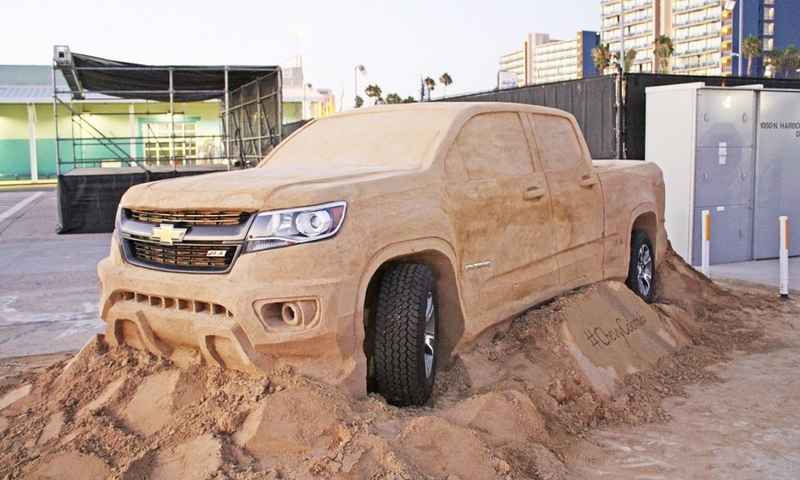 A 2015 Chevrolet Colorado, cast mostly of sand, will take the stage this weekend at the 2015 U.S. Sand Sculpting Championships in San Diego. Chevrolet is partnering with organizers of the championship ahead of the Colorado's U.S. sales debut this fall. Southern California is the nation's largest mid-size truck market.